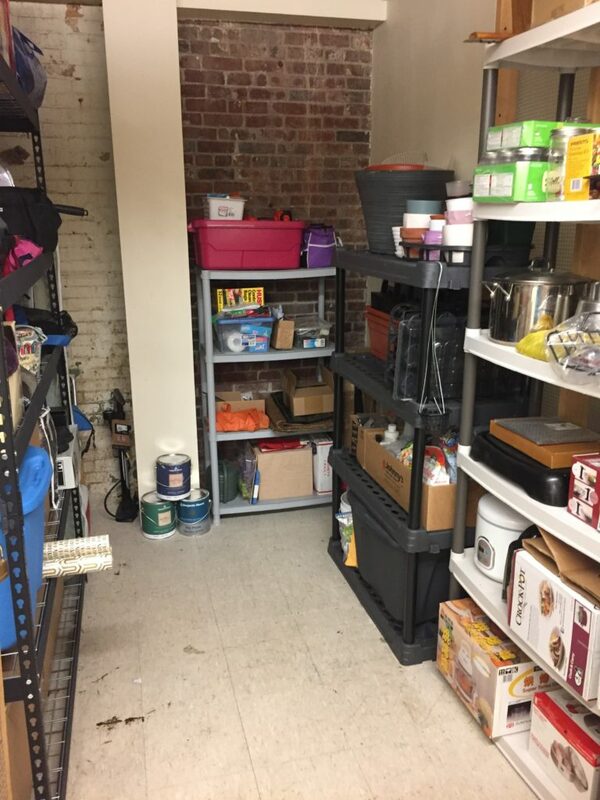 The client lives in a two bedroom condo and uses the storage room (located down the hall) to store gardening supplies, seasonal items, travel accessories and infrequently used kitchen items. 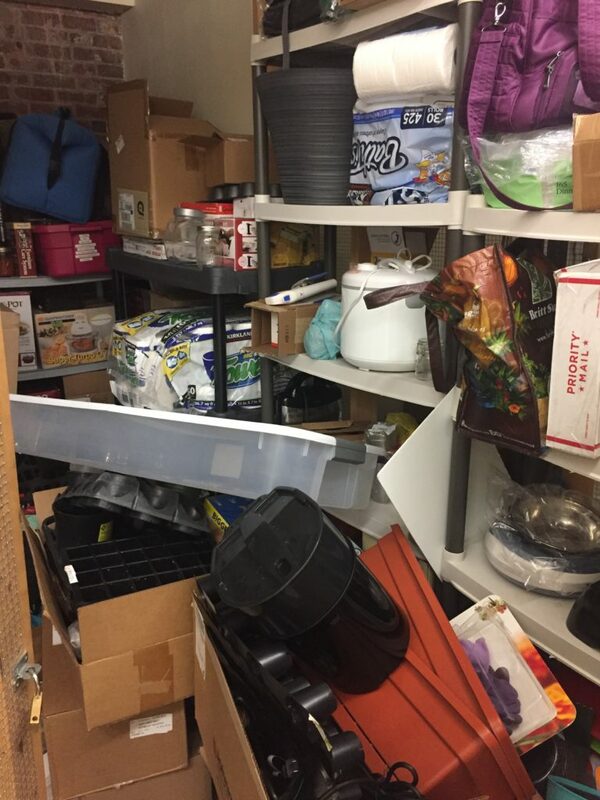 Unfortunately, it had recently become a dumping ground for everything and she could no longer find anything she needed or access most of the items. We removed everything from the unit and determined what she would like to keep and what she could part ways with. 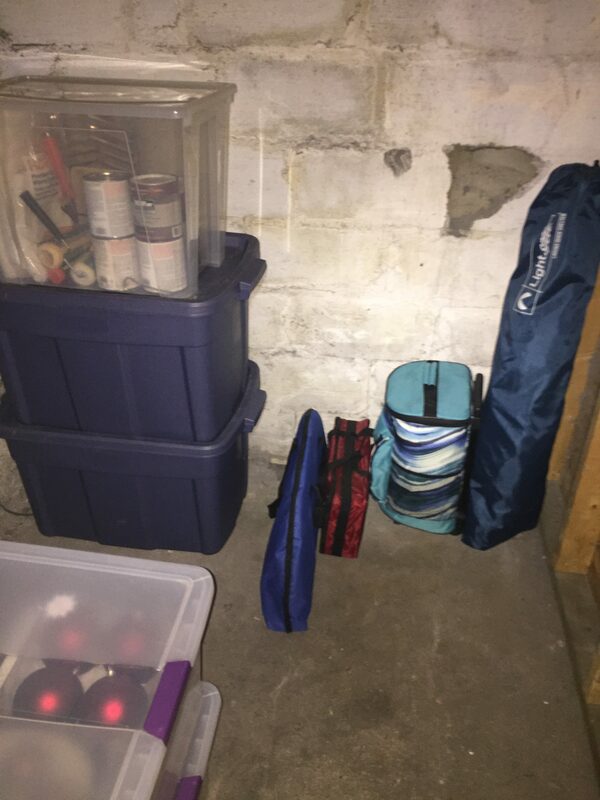 The remaining items were organized back on the shelves according to when and where she uses the items. The floor is now clear and she can reach all of the shelves and the things she needs. She's excited to do more gardening again now that she can access all the supplies so easily. 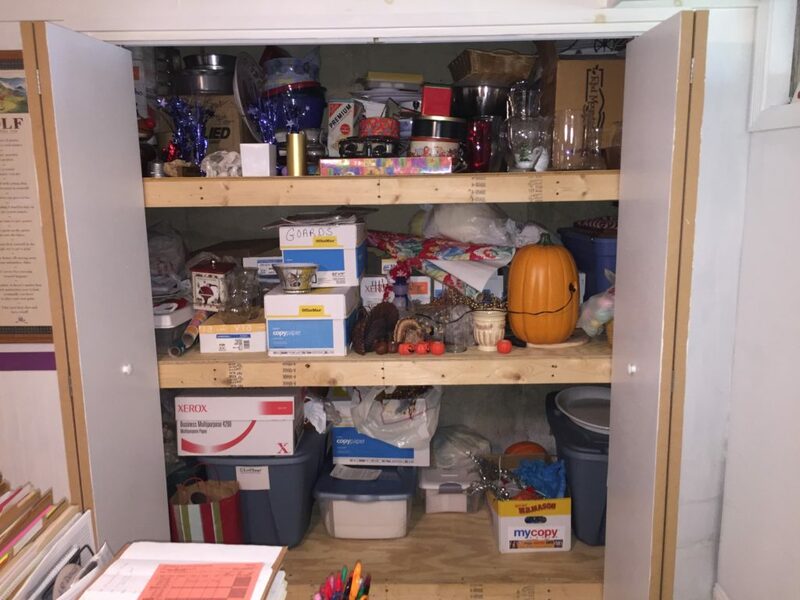 The client built a basement storage unit several years ago and it had become a dumping ground for holiday decorations, wrapping supplies and unused household décor. Many of the items hadn't been used in years. When it came time to decorate for the holidays or wrap a gift, she often skipped the task altogether because it was too overwhelming to find any of the items she needed. We took everything out of the basement storage unit and determined what she no longer needed, used or loved. Those items were recycled, donated or set aside for an upcoming yard sale. We grouped all remaining holiday items into tubs by season and labeled them. All wrapping supplies were grouped by type and occasion and labeled as well. All of her vases now have a home as well and are easily accessible. When the holidays roll around she will know which tub to pull out and she can be sure she will love and want to use all the items inside. 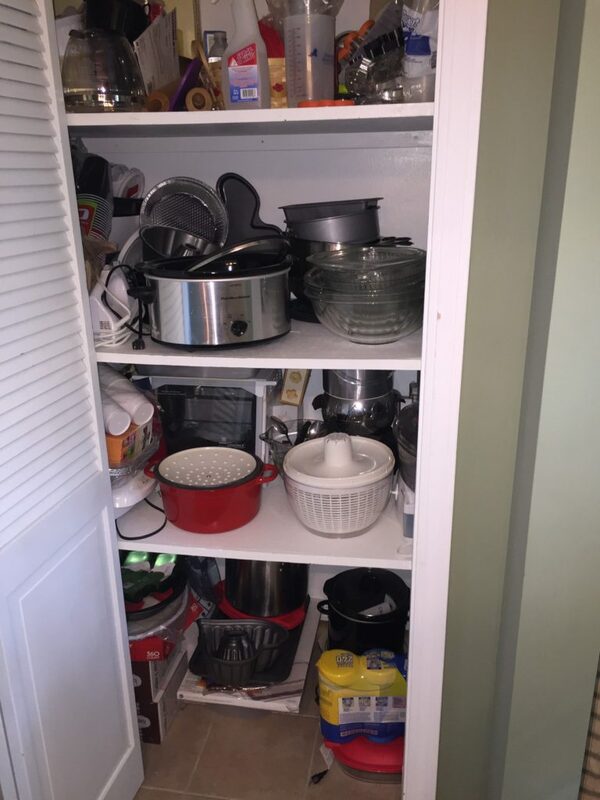 The pantry was a jumble of seldom used kitchen items, baking supplies, food storage containers and small appliances. The client hadn't used many of the items in the back for years and had forgotten most of what was back there. 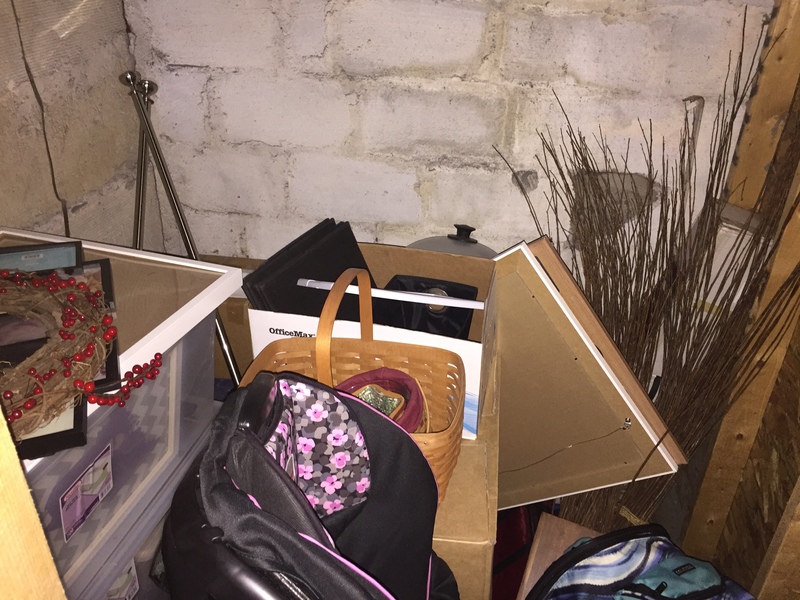 She also had a hard time accessing the stuff she used regularly and finding a place to put things away when she was done with them was a challenge. We removed everything from the pantry and donated or recycled all the items she no longer used. We organized the shelves by grouping like items together. 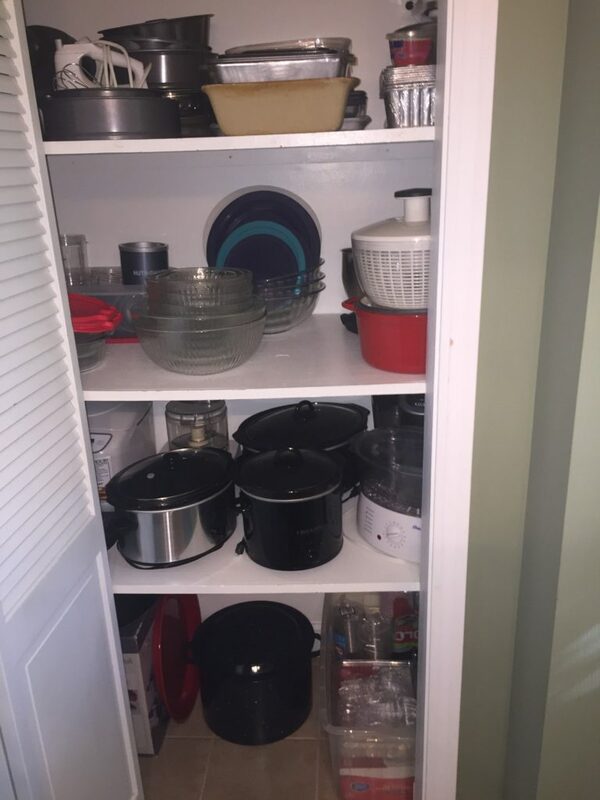 Her small appliances are stored together, her baking supplies are all on one shelf and her food storage containers and extra dishes are all together to grab when she needs them. She can easily access everything and has a spot to return things when not in use. The client was frustrated with a lack of closet space in her bedroom and disliked having to use the closets in the guest bedroom. 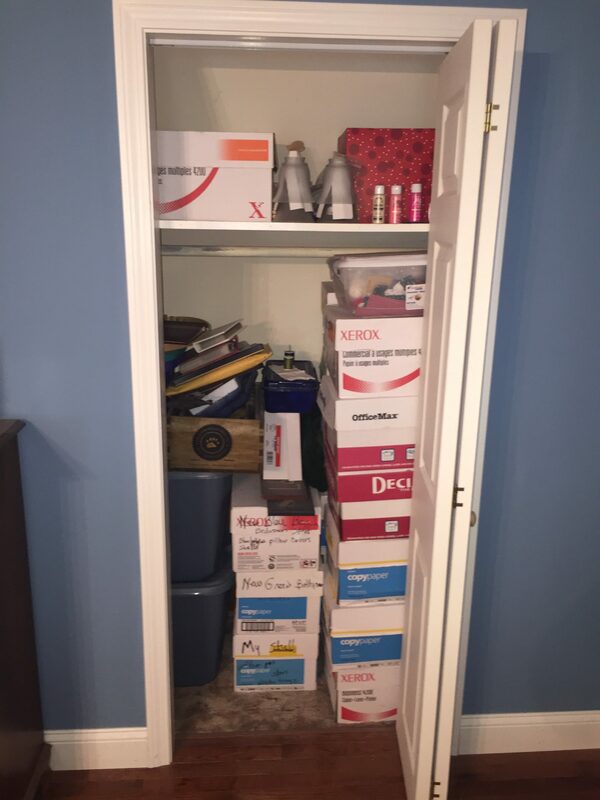 She was using this closet to store unmarked and mislabeled cardboard boxes and totes, many of which she hadn't opened in years. We removed everything from the closet and sorted "like with like". She was able to see what items she actually had and determine which items to keep and which items to donate or sell. 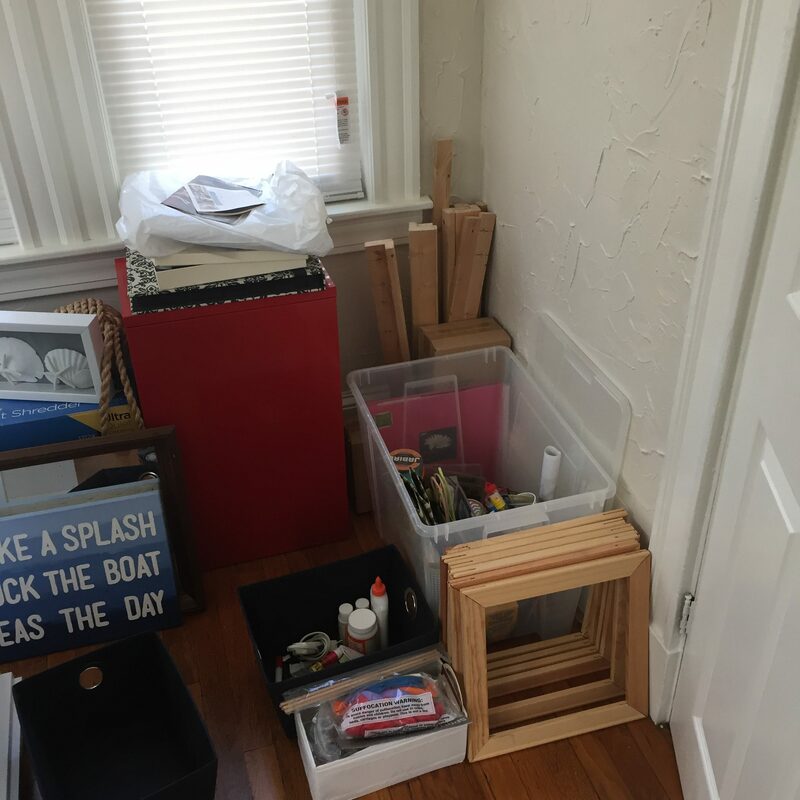 She decided to donate most items, thus freeing up a ton of useful closet space. We collected all of her off season outerwear from other closets around the house and hung them according to season. 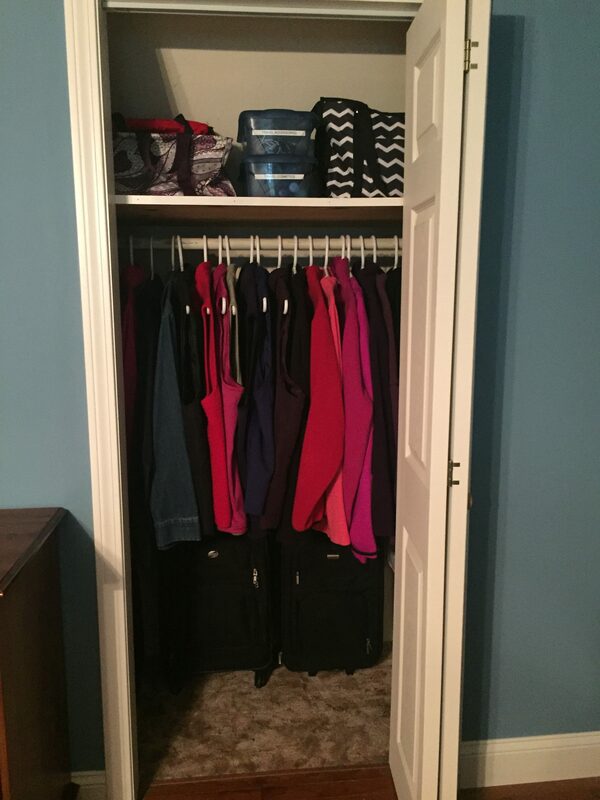 We also gathered all of her luggage and travel accessories and stored them in one place. Now when she's packing for a trip she has everything she needs easily within reach. The client struggled to get dressed for work in the morning. She was unsure of what actually fit, clothes from all seasons were crammed together and many new clothes were still in the bag. She also had clothes hanging in the closet in the guest bedroom because there was no room in the master bedroom closet. Therefore, she ended up wearing the same outfits every week. We went through all of her clothes to see what fit, what was still in style and what clothes made her feel comfortable and donated two whole bags full of clothes that didn't fit the criteria. We put the remaining clothes back inside according to season and purpose (work vs. casual). We stored the few items she wanted to keep that didn't currently fit in the back of the closet to be revisited at a later date. Now getting dressed in the morning is easy and anything she pulls out of the closet she's excited to wear. 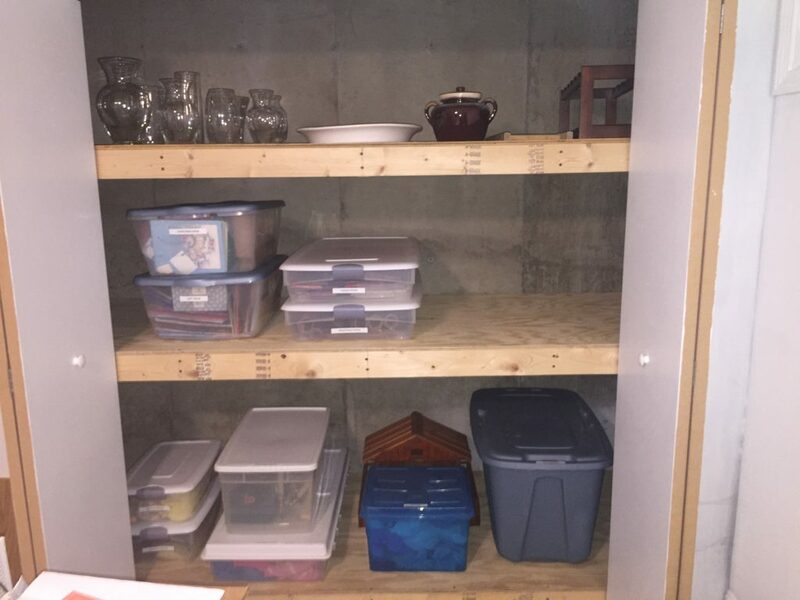 The client had moved into her home a year ago and had been using a storage unit in the basement to store items she didn't have space for in the main part of the home. Many items she no longer used or wanted but didn't know what to do with them. With the holiday season approaching, she wanted to access her decorations but they were buried in the back and she couldn't reach them. We removed everything from the unit and donated or recycled everything she no longer needed or wanted. We sorted her holiday decorations into clear plastic totes and utilized totes she already had to store painting supplies and other household items she didn't need regular access to. Now, she can easily access her holiday decorations and other seasonal items such as beach tents and coolers. The client had just moved into a new home. She needed her home office and craft room to be in the same space. She was unsure how to organize everything in the small space so she could easily access everything she needed when crafting but be able to put everything away when working. 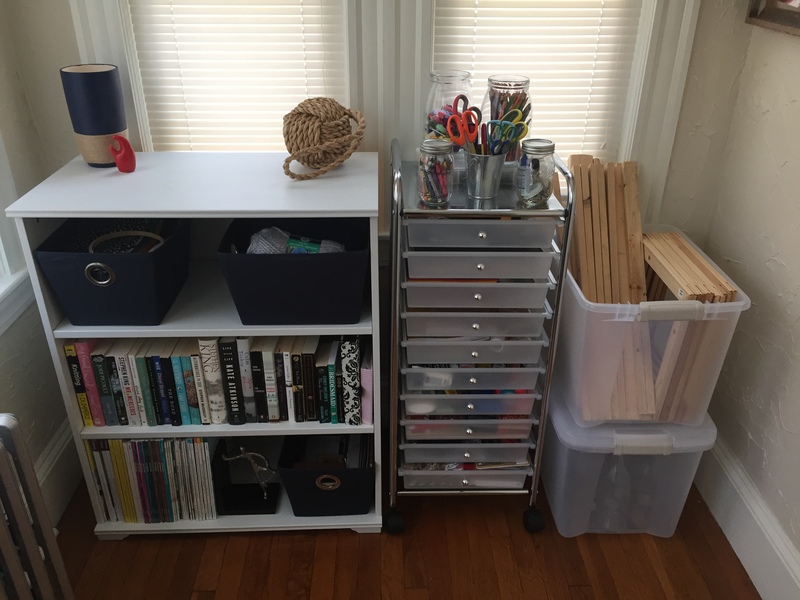 We purchased a ten drawer organizer on wheels to sort all of her craft supplies. The space on top was utilized to store glass jars of scissors, colored pencils and small crafting items. The cart can easily be moved around the room for access and then stored out of the way when not in use. We also utilized clear storage totes for oversized items and a bookcase for books, magazines and small open totes. Everything is easily within reach and out of the way when she is working. The client was frustrated that he could never find the clothes he was looking for. 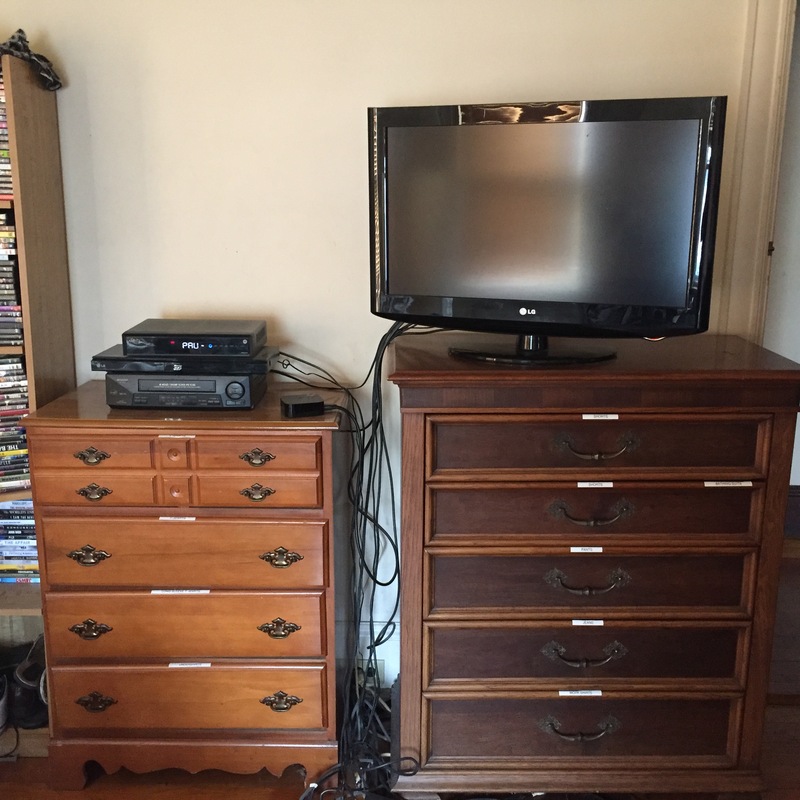 Many of the drawers were too full to close and contained a mismatch of items. 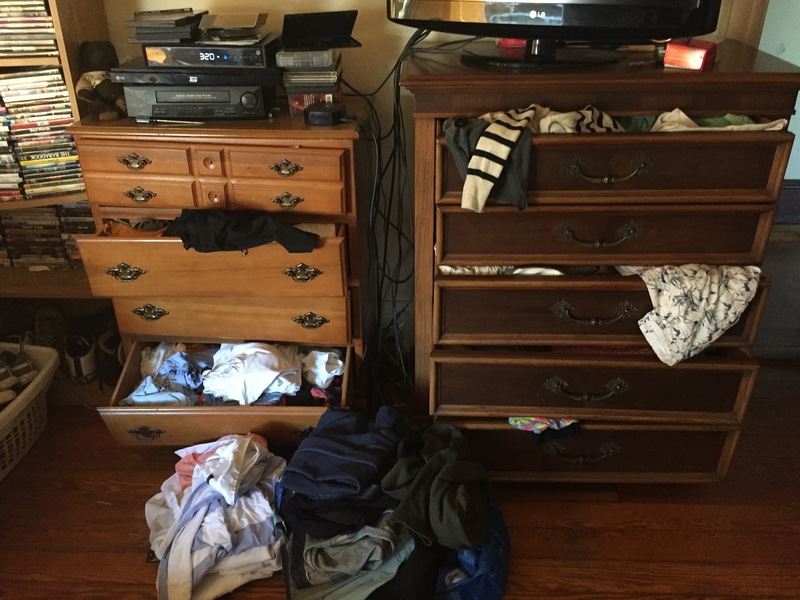 On laundry day he would shove clothes into drawers where there was space or leave clean laundry on the floor. Getting dressed in the morning was a chore and he ended up rewashing clean laundry a lot. We sorted through all of the clothing to determine what he still liked and what fit and donated the rest. 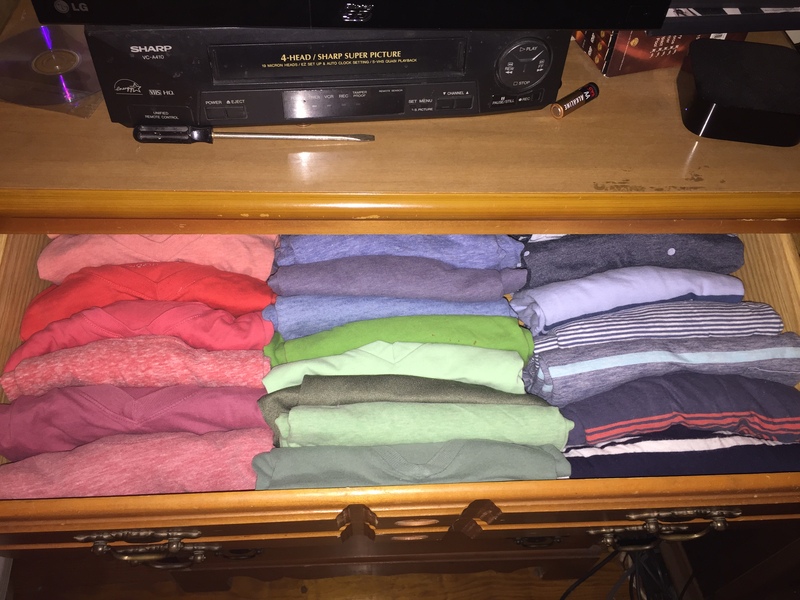 We put everything back into the drawers according to type of clothing and labeled the drawers so he could remember where everything went on laundry day. We folded everything so he could easily see the contents. 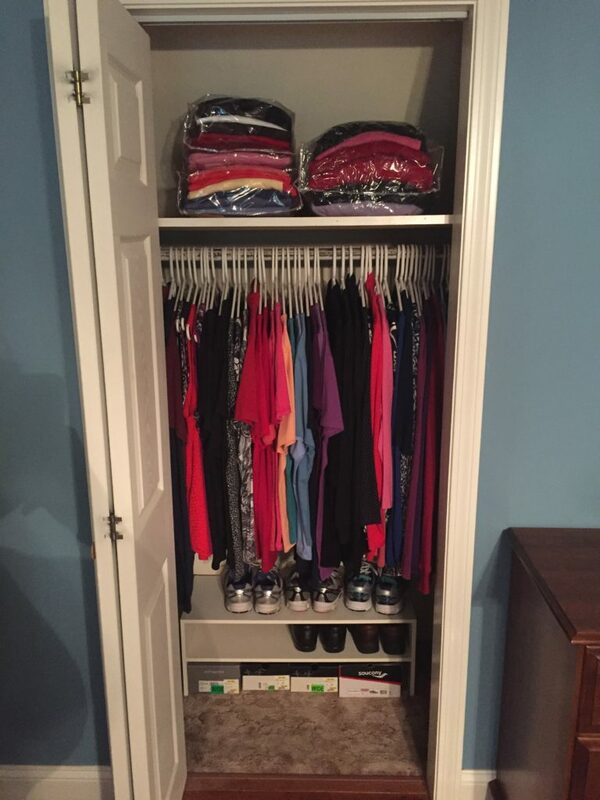 We even utilized an unused closet for dress shirts and bulky sweaters. 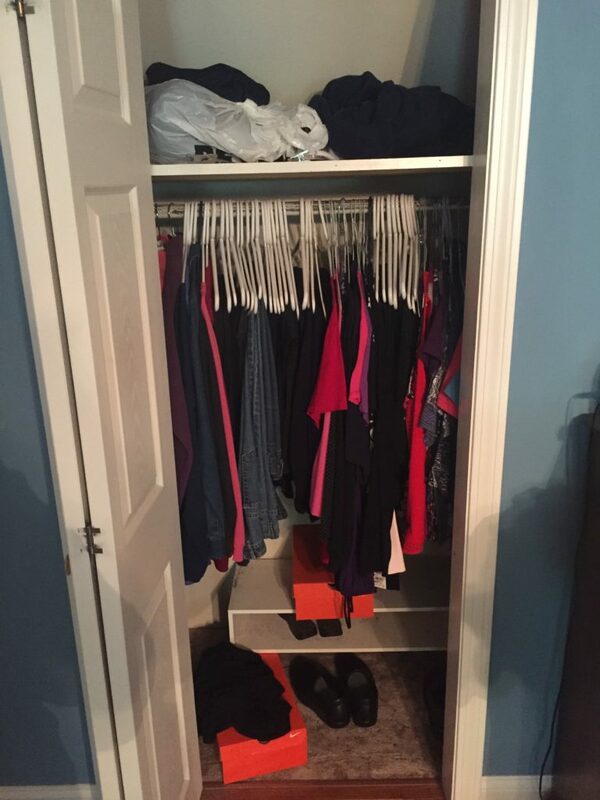 Now there's plenty of space to put away his clothes and he knows exactly where everything goes. In the morning he can easily find the clothes he wants to wear. 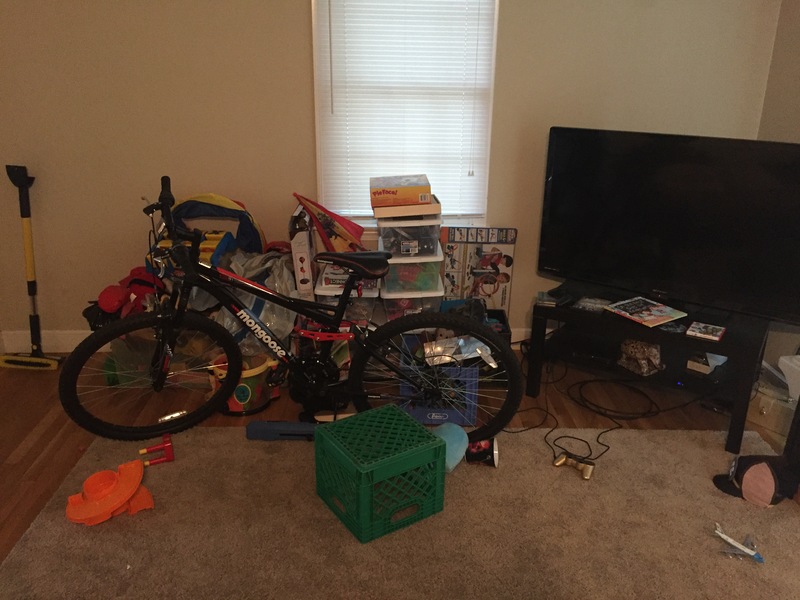 The client was frustrated that her son's toys had taken over much of the living room. Many of the toys he no longer played with or were missing pieces. She was happy her son wanted to be nearby when he was playing but wanted a better balance between living space and play area. We went through all of his toys and recycled or donated everything he no longer used or liked. We then sorted the toys according to type (cars, train tracks, puzzles, games, etc.) and gave each type its own bin. We utilized storage containers she already had although eventually she would like to purchase cubbies to store all of the bins. 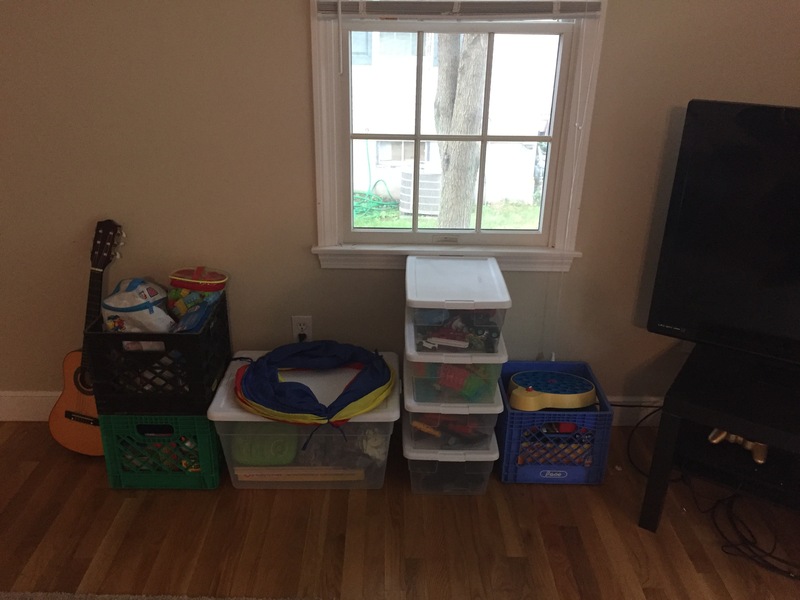 Her son now knows where everything is and knows where to return things when he's done playing and the living room is back to an organized living space for the family. 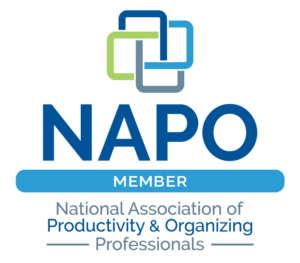 While working two jobs, the client was constantly shifting between locations and outfits. 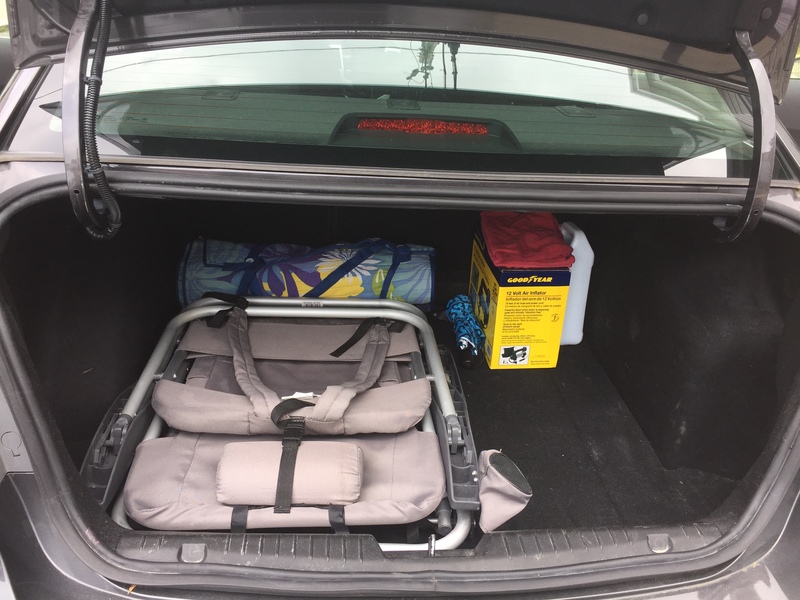 Many times the clothing would end up in her trunk along with chairs, blankets and towels for the beach and anything else she didn't have time to bring into the house. She had even purchased multiple umbrellas, never being able to find one when she needed it! She was frustrated by the state of things but didn't know how to fix it. 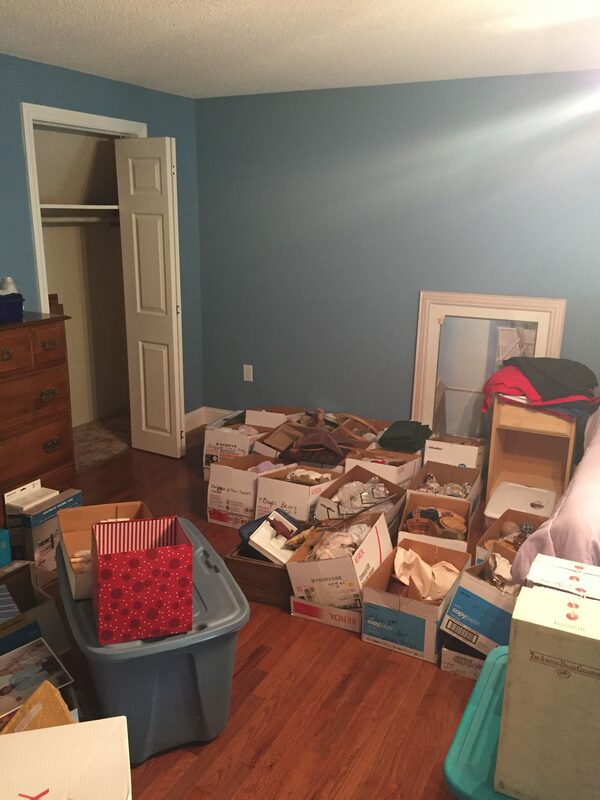 We removed everything from the trunk, clothes were sent to the cleaners or donated, trash was thrown away and items that belonged inside were brought into the house. 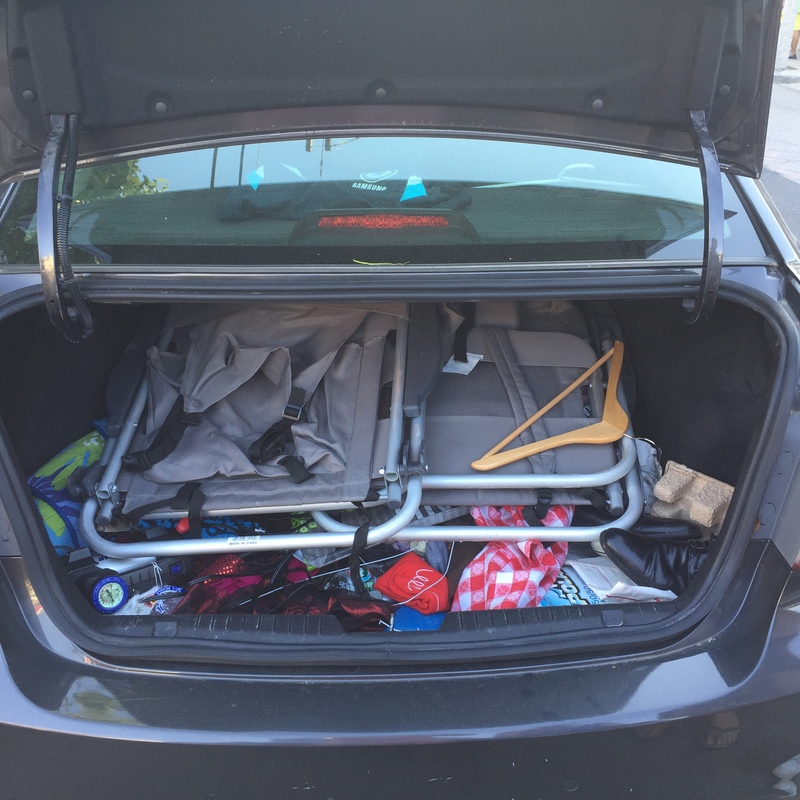 Car cleaning and maintenance items were placed back inside, along with the beach chair and blanket. We found five umbrellas, one of which was kept in the trunk right where she knew where to look for it. Her work clothes now go in a tote bag and are brought into her house every night to be washed and put away.